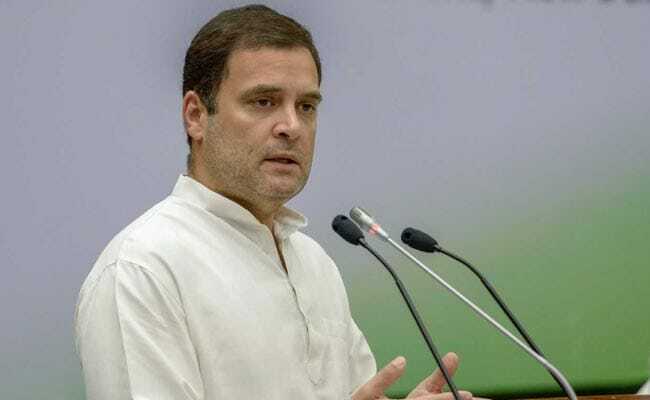 Rahul Gandhi is undertaking the Kailash Mansarovar Yatra in accordance with a wish he expressed in April when his plane plunged hundreds of feet during the campaign for the Karnataka polls. Rahul Gandhi will stay over at Kathmandu today before heading to Nepalgunj tomorrow. Congress president Rahul Gandhi, on a pilgrimage to Kailash Mansarovar in Tibet, arrived in Nepal's capital today. The Congress chief landed in Kathmandu at around 2:00 pm and checked into a hotel, Nepalese media reported. He will stay over at Kathmandu today before heading to Nepalgunj tomorrow. It has been learnt that he will leave for Mansarovar via Nepal for the Kailash Mansarovar Yatra, the Himalayan Times reported. Mr Gandhi, 48, arrived in Kathmandu on the same day as Prime Minister Narendra Modi returned home after attending the fourth BIMSTEC summit. He is undertaking the Kailash Mansarovar Yatra in accordance with a wish he expressed in April when his plane plunged hundreds of feet during the campaign for the Karnataka polls. On April 26, the plane carrying Mr Gandhi and some others from Delhi to Hubballi airport in Karnataka developed a technical problem and tilted heavily on the left side. The plane dipped steeply with violent shuddering, but soon recovered and landed safely. Three days later, on April 29, Mr Gandhi announced during a rally that he wanted to undertake the pilgrimage.